Thinking of advertising your dog friendly business with us? Here's some testimonials we have received from other advertisers. "Thanks so much for being my best advertiser over the years - value for money and real enquiries through it! Have recommended you to a few others locally." "When we started our dog friendly bed and breakfast in Beer, Devon we had no idea about marketing and selling it. My daughter who runs it is a cordon bleu cook and I am retired, so neither of us had a clue!! We started by looking on the internet for other establishments like ours and the name that kept popping up was ‘the good dog guide ‘ so that was my number one choice, we did go with some other companies for a short while but due to the amount of guests we have got via the good dog guide we have gradually given up most of the others.) Once we got some guests who started writing on trip advisor we were away. When I look at the statistics that are available from the good dog guide it is quite clear where are guests are coming from. I especially like the ease of the Twitter connection and am following many useful links and they are following us. An excellent service and well done for targeting our exact customers. "I just wanted to drop you a line to say thank you. Sometimes it's hard to know what works and what doesn't with advertising, but this morning you put out a tweet about Scotty's Cartoons at about 8.30am, and by 11am I had a new booking from it! :) The client mentioned your tweet and said that's where she found me, so that's much appreciated, thank you. :)"
"Thank you, we have received numerous enquiries since advertising with you. Highly recommended." Min-Y-Don (Dog Friendly) Holiday Accommodation. "Your service has been second to none. I have been VERY impressed with your service and I constantly refer your services, Sandy. "We have found TGDG to be extremely beneficial for our business and we have many regular long term customers because of the service you offer." "I have been with you from when I begin my grooming business and with your help I am now full to capacity. Please could you drop me down to the bronze listing? Thanks so much for your help. Really could not have done this without you." 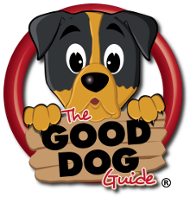 "I find I get a lot of enquiries and new business from The Good Dog Guide – I am very happy with the quality of the business generated – well done!!" "The Good Dog Guide has been an excellent place for me to list my business, so much so that I no longer have room to increase the amount of custom I have. I will still recommend your website to anyone looking for Home Boarding as it gives people valued information and plenty of choice. Advertising on here was well worth my initial investment. Thanks Cath. Canine Comforts Tyldesley "
"Since listing my business on The Good Dog guide, I have received a constant stream of great quality leads for my home boarding service. It has completely negated the need to do any other advertising and I now have bookings for up to a year in advance. I would also like to say a big thank you to the admin team who are always so helpful and responsive. Lorna"
"I had been struggling with my Dog Care websites online presence for sometime and yesterday I took a call from Christine from The Good Dog Guide. Within a couple of minutes I was amazed how knowledgeable she was in this area together with her impressive industry insight. Christine carefully explained the benefits of a Gold Premium listing and took the time and trouble to talk through the issues I had and how The Good Dog Guide could assist me. In only four and a half HOURS after the call, in the same afternoon, Christine sent links to my new Premium page and WOW I was stunned. My new incredibly presented listing with beautiful photos, all my other social media links fully working, and most importantly to my business, that I was there near the top of the search. I cannot recommend Christine enough, not only was she an absolute delight to talk to, but her passion for the business, her efficiency in product delivery, her helpfulness are all shining examples of a what a ‘true model employee’ should be. Christine, your Manager should be very proud of you and so should you. Rarely do I write such comments but you really do deserve praise and really do thank you for assisting in the way that you have." "We're really pleased with the service and have already noticed an increase in enquiries." "I am so happy that I decided to advertise with the Good Dog Guide. I have had so many enquiries through this website and it has really boosted my business. I recommend placing an advert here to any canine related business. Thank you Good Dog Guide!" "Being listed with the good dog guide has helped my business massively! I have gained many customers through it and will be continuing to use them as we continue to grow!" "I would like to say how fantastic The Good Dog Guide has been for me, its been just over a year since I started my dog walking business and thanks to The Good Dog Guide it's been a great success. Many thanks Rachell." "We are so delighted with our gold listing with the good dog guide. Within hours of going live the phone started ringing. I secured two bookings and on going enquiry. As a new business you are concerned that your service is accessible to people, but I was reassured immediately that people interested in dog services really do trust you site. The team were so helpful in helping setting up my page I really can't think of a better place to advertise your business." "We first advertised on The Good Dog Guide when we were just doing (dog friendly) B&B in 2012 and immediately had bookings from this site. We have subsequently expanded into (dog friendly) Holiday Lettings, as well as still doing B&B, and advertise both of these as well with The Good Dog Guide. We consistently get bookings throughout the year, year on year for all three offerings. It does seem that this is a very popular site for dog people to refer to when looking for accommodation in the UK. The guests we have had, as well as the dogs, have all been lovely! In addition when something needs changing on any of our entries this is done quickly and easily, a real bonus when one is managing entries on a number of different sites - also it is not expensive. I am very happy to recommend this website to any doggy people out there, either to find accommodation or to advertise on, it is really good news." "Thank you for all your help Simon Fuller has been most helpful and contacted me really quickly relating to any queries I have. He has done an amazing job on my page and I have really noticed a difference in the amount of people calling me to book and lots have recently found me on the good dog guide. Its really helping me and I'm so pleased with the service I have been receiving. Simon is so supportive and always adds photos straight away if I need this. Thank you. Brilliant service and highly recommended." "May I say a very big 'thank you' for your exemplary service. Efficient, helpful, courteous, easy to use both as an advertiser and a user, it's been a massive bonus to me over the past couple of years. I have had such a lot of business come my way because of the Good Dog Guide, and all at such a great price. So many sites want too much money to advertise, and some an extortionate amount to 'be part of the club', but for me as a small business (that doesn't make a fortune) yours is by far the best. Every dog that has stayed has been extremely well behaved - I have had no problem at all (in fact the only problem I have ever had was with one of my setters that chewed the corner of a leather chair!!). Thanks again to you Tiffany and all the Good Dog Guys - I will definitely use you again on a future venture." "We have been with The Good Dog Guide for some years now, both for our B&B and for our self catering cottage and holiday loft - it has been a very successful union. We have received bookings every year from The Good Dog Guide and continue to do so and the traffic from their site to our is constantly high. The Team looking after us on their site is excellent and always helpful, even when I am quite demanding! For doggy people this is a great site and for dog friendly accommodation owners well worth the money." "Thanks a lot - we have noticed an increase in visitor referrals from The Good Dog Guide since starting banner advertising in addition to the Gold Premium listing we have had for two years now, so remain very happy." "Yes please renew my Gold premium listing for another year. Thanks for your help in finding customers for me!" "We'd also like to say that in the couple of days we have been involved with you we have been very impressed with the quality and efficiency of your service as a company. Whoever designed our listing clearly took time to look at other resources to pull together other images and information which we think demonstrates real quality of customer service, they could have simply juggled around the information we had provided (which was what we were expecting) but the service went further than that. Thank you." "I would just like to thank you and your team! I secured a dog walking job yesterday, its 2 roads from my home and 5 days a week! I am so please with your service and this 1 booking proves your site is worth investing in and I will be renewing next year!" "Please renew our bronze listing. It has proved to be one of our best advertising investments." "First sale today from a lovely lady who had seen new Gold Premium ad with you which has only been on a week, many thanks"
"You could actually double your prices and I would still pay, everyone thinks the adverts are brilliant." "I would like to say that all the money I have paid out for my listings and banner that this has been money well spent as I have had all that money returned to me 3 fold because of your site I have only been with you a very short time and have had so much business from your site as it is so well known. I have also been with yell.com for quite a while and only had 3 grooming jobs and I am paying a lot more to them so I can safely say after my contract is over with then it will be terminated. So from all at Johns Dog Grooming Services To all at The Good Dog Guide a very very BIG THANK YOU"
"Many thanks for our listing!! Very much appreciated!! Love the website and the variety of info on offer! Fantastic!x"
"Tiffany and the team have created a fantastic advert for a gold listing from the information I sent them. They reacted quickly and professionally to my initial enquiry. I actually got a customer on the first day of it going live!! As a new business I couldn't have asked for any better service or support to help me get my name out there to my potential customers. I would highly recommend any new doggy business to use The Good Dog Guide team to help you promote your business." "As a start-up business, I have found that the enquiries I get from The Good Dog Guide have resulted in more business than any of the other adverts I have placed. If you need to promote your business – get a listing. Well done The Good Dog Guide!" "I found you through my post on Dogs Trust, your page and website are excellent! and I will be using it regularly for advice to make sure I offer the best service possible to my clients, thanks, Layla." - 'Happy Paws Dog Boarding / Dog Walking'." "1st class service from The Good Dog Guide lovely website too!" It's a dog's life lets make it a happy one!